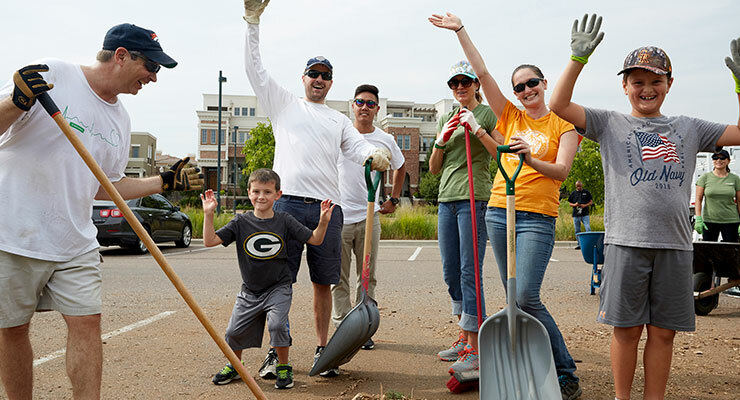 A group photo from Central Park Stapleton before the hard work began! A group photo from Food Bank at the Rockies before the sorting with a smile! 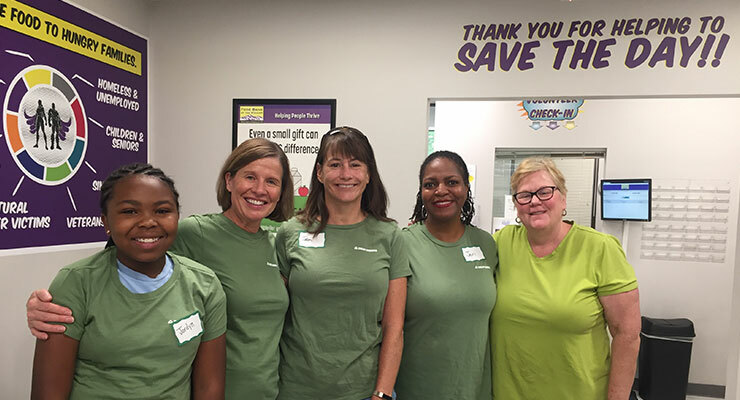 Our Annual Day of Service with a Smile, presented by our community engagement program, is an opportunity for employees to make a real, tangible difference in our local community. We rounded up 31 internal employees and 38 of their family members. 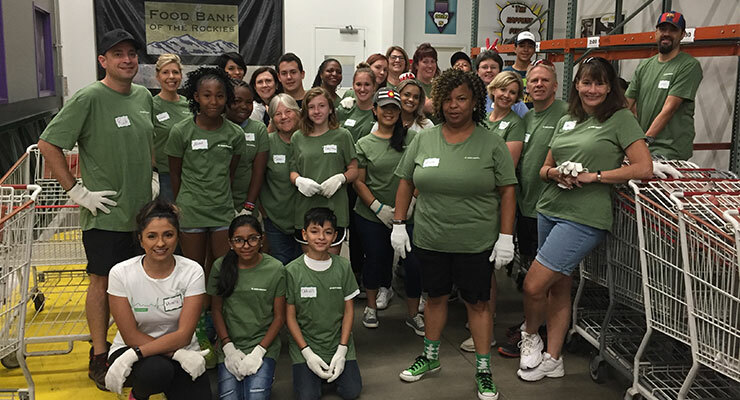 Our 69 volunteers divided into two groups; half were at Stapleton Central Park , and half were at the Food Bank of the Rockies. 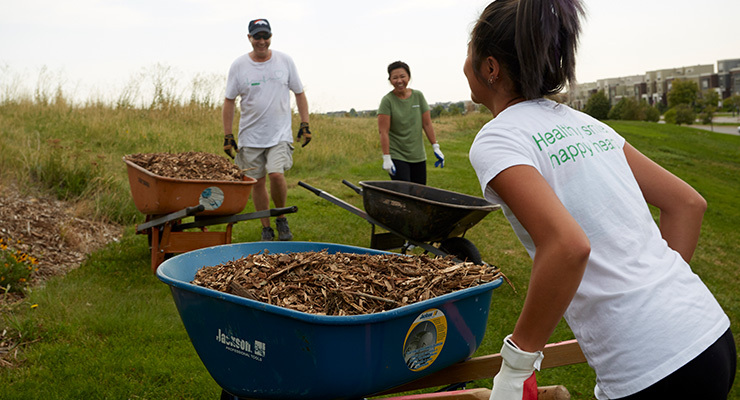 At the park, we partnered with the City and County of Denver’s Parks and Recreation team. They made sure we mulched and raked where it was needed most, and not where it wasn’t! We wielded our trash pickers with pride and covered much of the park. 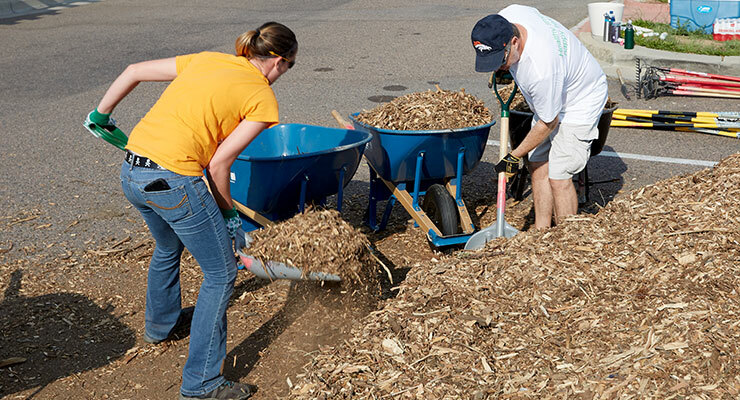 Following trash pick-up, we grabbed shovels and wheelbarrows and spread 9 tons of mulch across the park. 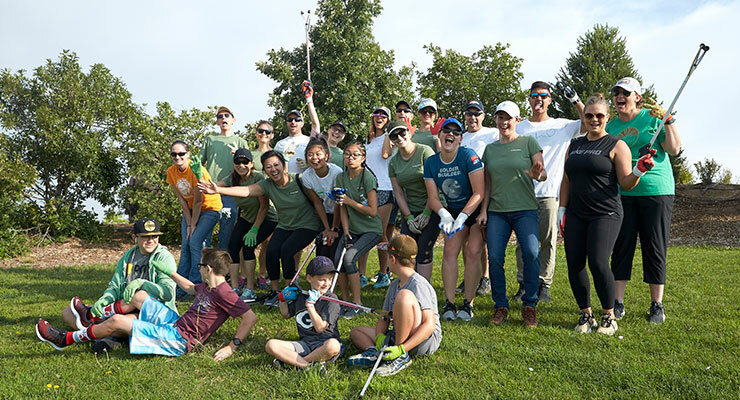 Interested in volunteering with the Denver Parks and Recreation team yourself? 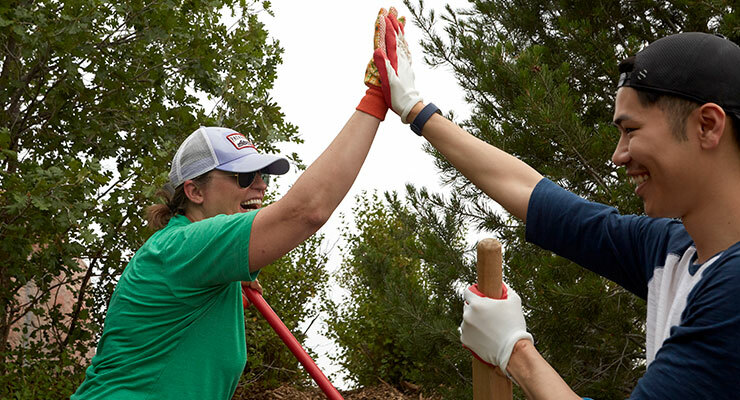 Check out their October 13th event, “Put the Beds to Bed,” and other upcoming Volunteer Projects here. 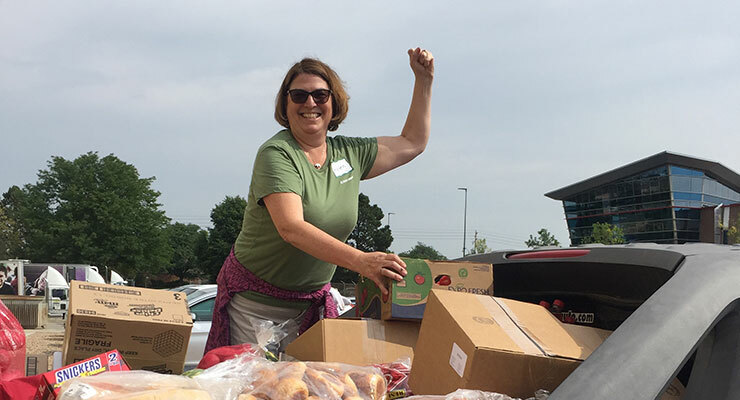 Just around the corner, the other half of our volunteer crew rolled up their sleeves at one of the largest hunger relief organizations in the Rocky Mountain Region. 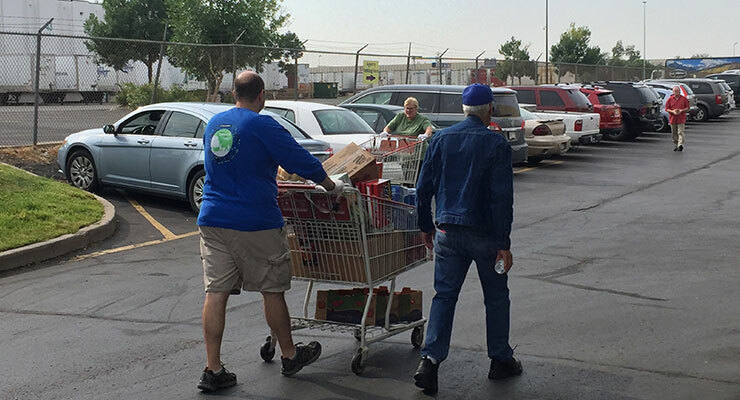 One Saturday every month, members of the community come to get boxes of food and fresh produce. To encourage the foods are eaten rather than left to spoil, fresh produce, dairy, and bread are distributed for free! Our CEO Helen Drexler (right) and HR Dir. Sunday Sotomayor (left) posing for picture. In just 4 hours, we were able to help 500 people get their groceries! 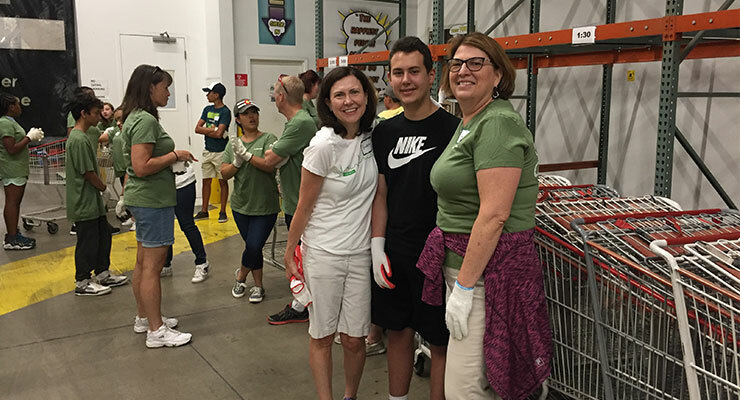 Our CEO, Helen Drexler, giving service with a smile. 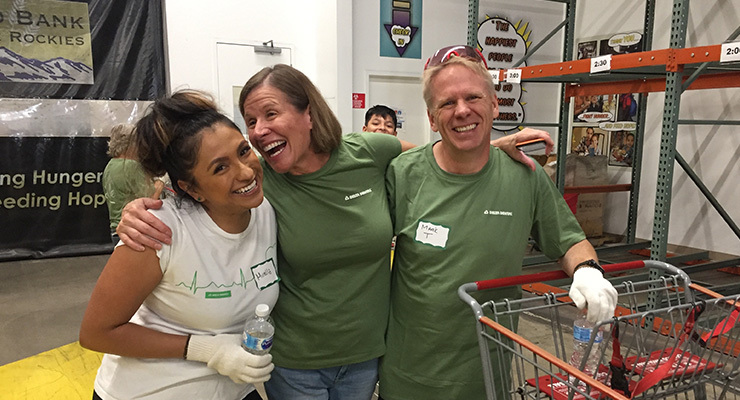 Learn about volunteering at Food Bank of the Rockies, which has been fighting hunger and feeding the homeless since 1978.
Who else is inspired to act? 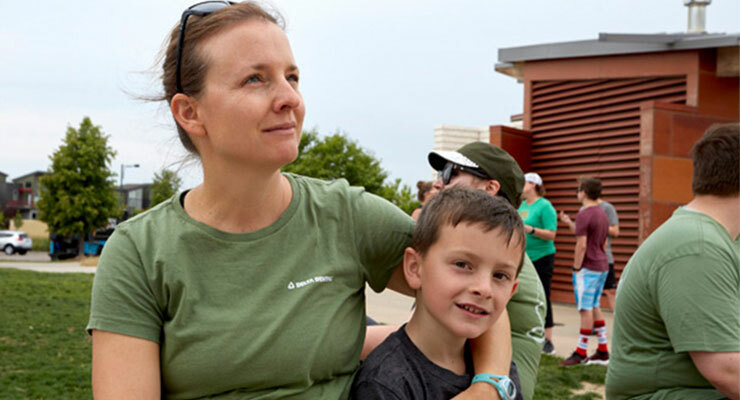 Learn more about how we’re committed to helping the community so more people have healthier smiles. 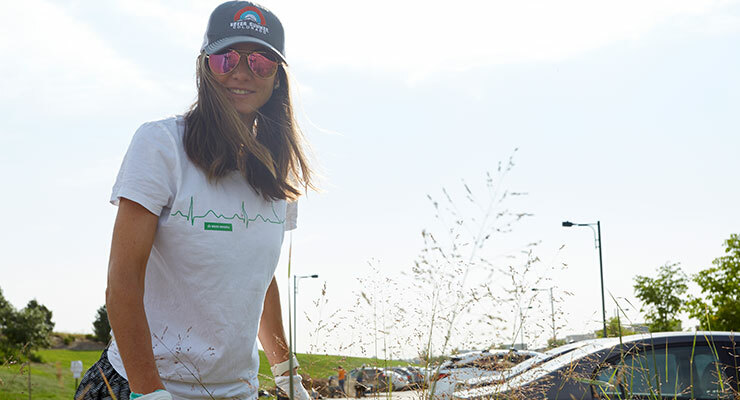 Email volunteer@ddpco.com.